The French president has irritated Warsaw, suggesting that the Poles deserved a government that would not isolate the country. Polish officials said Emmanuel Macron was an arrogant and poorly informed person, who should mind his own business. 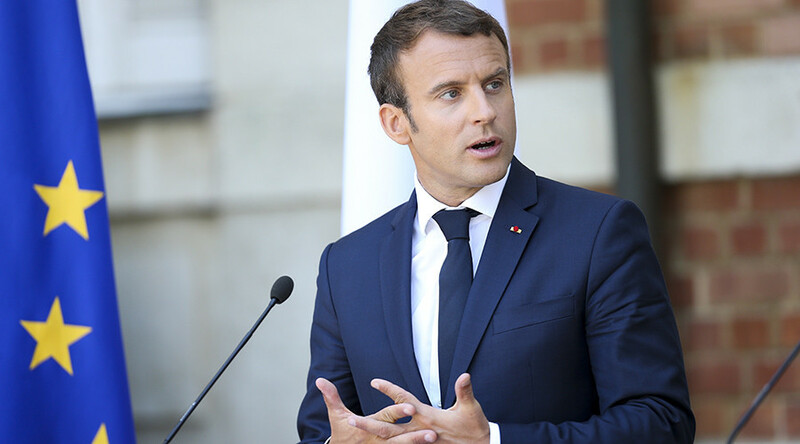 The toxic exchange comes as Macron is touring eastern Europe to whip up support for a reform of EU rules on cross-border work assignments. Speaking at a media conference with Bulgarian President Rumen Radev in the Black Sea resort city of Varna, the French leader fired back at Poland for opposing the change of rules. Macron said that the current government of the Law and Justice (PiS) party in Poland was in conflict with European values and that the country deserved a better one. The remarks drew a stinging response from Warsaw officials. “I advise the president that he should be more conciliatory ... Perhaps his arrogant comments are a result of a lack of (political) experience,” Polish Prime Minister Beata Szydlo told Reuters. “I advise the president that he should focus on the affairs of his own country, perhaps he may be able to achieve the same economic results and the same level of security for (French) citizens as those guaranteed by Poland,” she added. Polish Foreign Minister Witold Waszczykowski rejected the claim that Poland was isolated and suggested that Macron was poorly informed about eastern Europe. “We are hosting an important meeting today so President Macron is not following carefully the news, doesn't know what is happening in this part of Europe. But this happens sometimes,” he said while hosting a media conference in Warsaw with his Romanian and Turkish counterparts and NATO Secretary-General Jens Stoltenberg. The so-called ‘posted workers’ rules of the EU deal with situations in which an employer sends workers to another member-state for temporary assignments. They are meant to protect the workers’ rights and prevent ‘social dumping’, in which companies in nations with fewer social benefits get an unfair advantage over companies in the host nation. These posted workers are not to be confused with workers who choose to seek employment in richer members of the EU. Posted workers comprise about one percent of Europe’s labor force. But the issue is sensitive in Western Europe, and Macron champions tightening the regulations. His stop in Bulgaria is the third in a tour meant to win support. He managed to persuade the Czech Republic and Slovakia to back the planned reform, and to win lukewarm support from Romania. The Eurosceptic nationalist governments of Poland and Hungary oppose Macron on the issue. 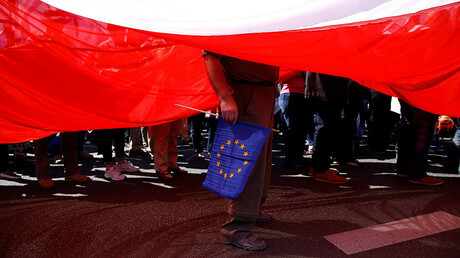 The issue is one of several over which Poland has recently been at odds with Western European nations or the union in General. Others include Poland’s desire to get more reparations from Germany for the damage the Nazis caused during World War II, and Poland’s controversial media and judicial reforms, which are viewed in Brussels as an encroachment on democratic principles.